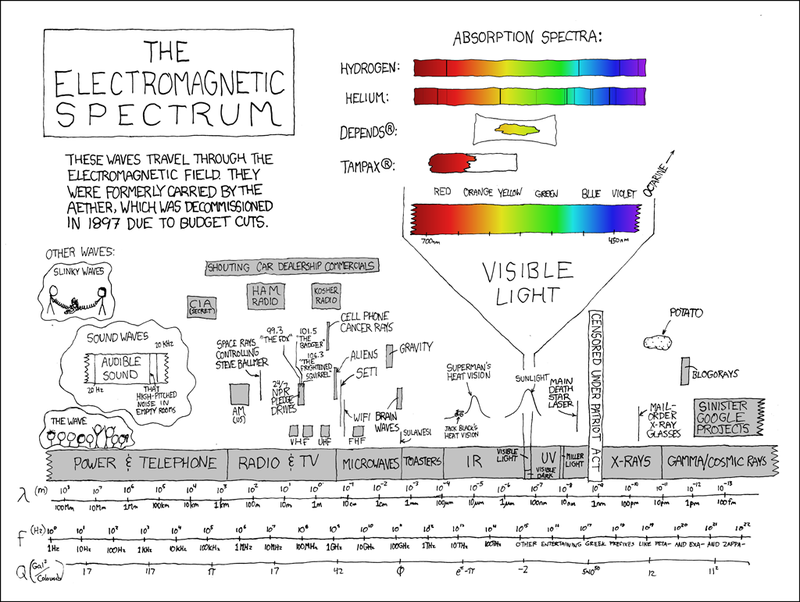 This page contains all of the posts and discussion on MemeStreams referencing the following web page: The Electromagnetic Spectrum, as seen by Randall Munroe. You can find discussions on MemeStreams as you surf the web, even if you aren't a MemeStreams member, using the Threads Bookmarklet. There is a redundant post from Abaddon not displayed in this view.